We bring you this wine that embodies authenticity from the region with the most renowned grapes of Galicia…as Rias Baixas. As we embark on this new chapter of making wines to pair with our culinary creations, join us with this incredible Albariño. Aromas of white peaches, lime peels, green herbs, notes of citrus and crisp miineral nuances. This wine is sure to hit every side of your palate with pleasure. After the success of our Paco Luca Albariño, we decided to take our venture to the renowned Rioja region for this succulent red wine you are about to experience. 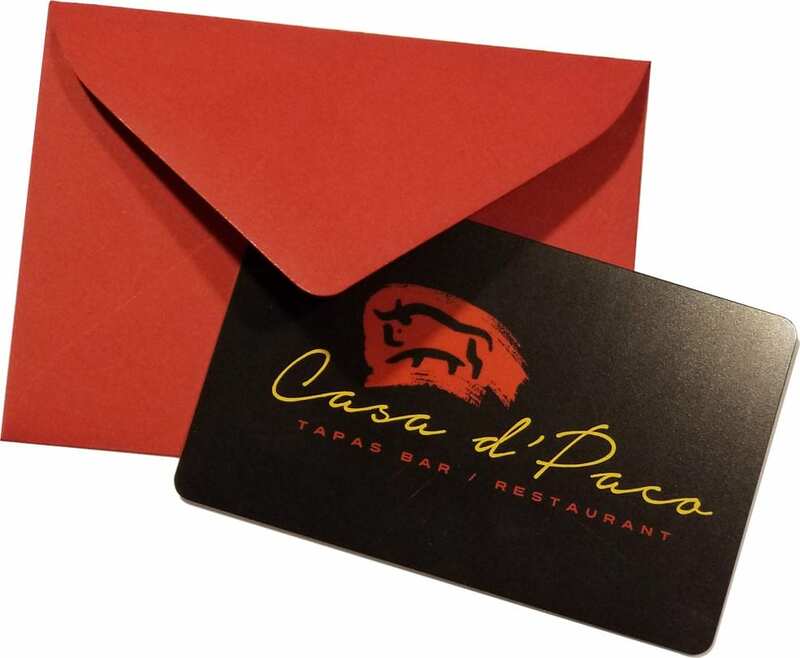 Paco and myself, Angel, continue to search for the perfect wine pairings for the culinary creations of our restaurant Casa d’Paco. Aged 7 months in oak, this young wine is full flavored, light and fresh in the mouth with a warm finish. 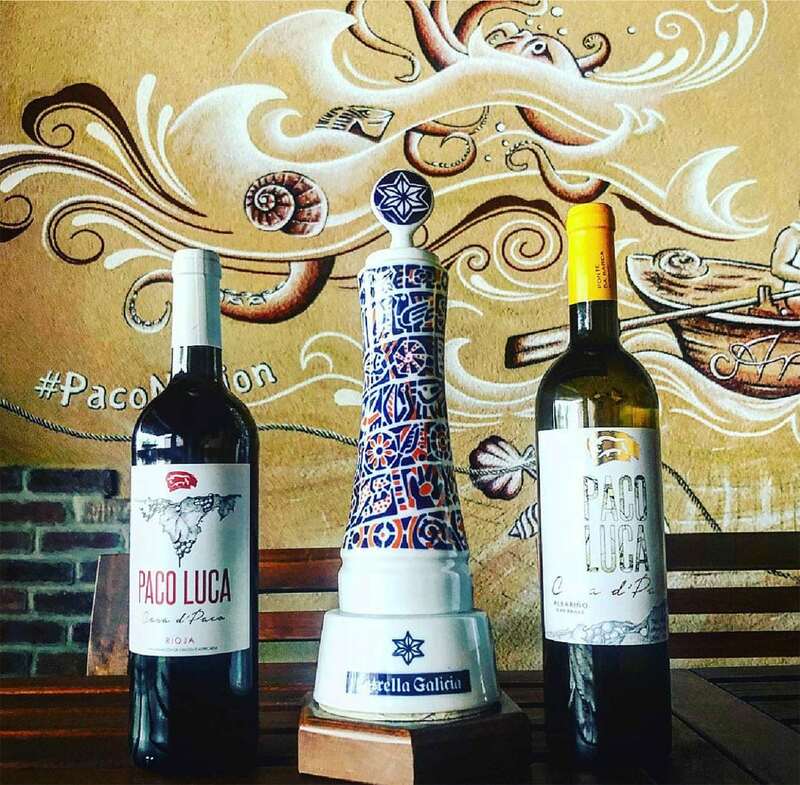 Stay tuned for our growing Paco Luca wine collection. The bouquet has notes of red berries. On the mouth there are sweet tannins and long finish. Organically grown, blend of the best varietals in our vineyard. Best suited by the glass. Elegant and fruit forward wine with purple red tone, bright aromas of fresh fruit and subtle vanilla undertones. Sweet in the mouth with a pleasing mid- palate experience and soft, round tannins leading to a persistent finish. Made from 100% Pinot Noir; the grapes are fermented in stainless steel for 10 days and later aged in French oak for 9 months. Deep black cherry in color with aromas of plum and black currants with a silky and refined finish, elegant and well balanced. Exceptionally well balanced tempranillo, after maturation in both cask and bottle, this wine offers a singular harmony for it’s attractive color, delicate flavor and velvety texture. Organically and biodynamically farmed and made from the estate-grown grapes. Night harvested and aged for 9 months. This wine from Dominio de Punctum shows a deep dark cherry color. Aromas of spice, vanilla and ripe fruits on the palate. Well structured with sweet tannins, full body, harmonious and long finish. Handpicked harvest in boxes, exhaustive cluster selection, crushing and destemming at low speed. Cherry red with purple reflections. Medium-high layer and abundant tears. Elegant and complex in the nose, with spicy notes of red berries and forest blueberries. It is unctuous and well structured, with mineral sensations in the mouth, which clearly evokes the noble landscapes of Valdeorras. Long and deep red fruit aftertaste. A brilliant dark ruby in color, roble exhibits a beautiful, perfumed nose of intense black cherry, violet, sweet spice and leather. This wine boasts a full body with velvety tannins that develop into a long, persistent finish. Award winning Galician wine maker Susana Esteban harvested this masterpiece in the region of Alentejo, Portugal. A pure-tasting and minerally rich red that smacks of luscious red raspberry and spiced red currant flavors, juniper berry notes and an elegant peppery finish. On the steep slopes in the Ribeira Sacra in these terraces carved from Roman times, is where the Mencia grape obtains its maximum expression and elegance. Cherry red, bright with a violet edge. It’s bouquet is powerful and clean. Ripe fruit nuances, floral varietal with a marked personality. Made from vines of 55 years of age, this fleshy velvety soft Rioja is loaded with powerful ripe blackberry fruit, rounded by spice and vanilla from ageing in American oak. Full and concentrated, elegant and fine. Red ruby with slight purple shades, well assembeled vanilla and roasted flavors of cherries, plums and jammy. Bancal del Rio is limited to under 2,500 bottles. 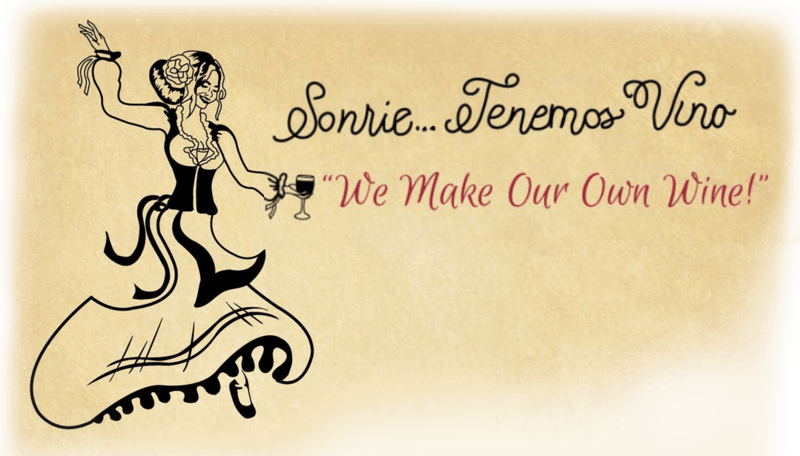 Casa d’Paco is proud to be the only place in the US to have this wine available. A unique petit verdot that has gotten both national and international recognition and has never been awarded less than 96 points by any expert. Great wine produced only in classic vintages; 22 months in the cask before seven years in the bottle. Abadia Real Verdejo Viura blend is from the Castilla y Leon region in northwest Spain. This wine combines two of Spain’s leading indigenous white grapes into a bright and furity summer delight with white peach, pear, tropical fruit and subtle vanilla notes. Fresh floral aromas. Tropical tones of lime and pineapple. Full flavor with a touch of sweetness. Well balanced and refreshing acidity. Clean Bright colored at sight, with a greenish yellow tone. On the nose exotic fruits like pineapple. 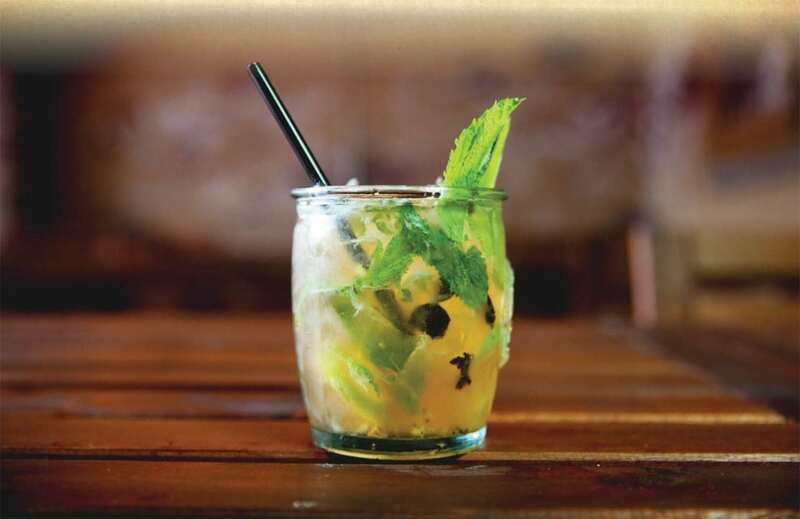 Full flavored, fresh, with good acidity in the mouth, it recalls a tropical fruits bouquet. Gentle white wine with tangy citrus notes as the dominant element. That is the allure: lightness, crispness and cleanliness. The gentle fruit flavors are of melon, lemon and red apple. Straw yellow color. Well structured wine with flavors of white fleshed fruits. A good balance of acidity and a nice lingering finish. This some is made from organically grown grapes. Biodynamic practices have been applied, improving the soil structure and enhancing the natural cylcle of the vines in order to achieve the highest quality wines. Enjoy a beautifully balanced, fruitful and fresh wine with elegant citric aroma and pear notes. Vaiven Blanc de Noir is made from oganically grown grapes. The grapes are harvested at night for optimal temperature before pressing. Vaiven is produced by quickly removing the skins from the juice after the grapes have been pressed. Bright yellow color with pearly iridescence at first sight. fresh and floral bouquet mixed with red berry aromas. Good acidity, gentle, tasty and full bodied. The some maker is Marcos Lojo. 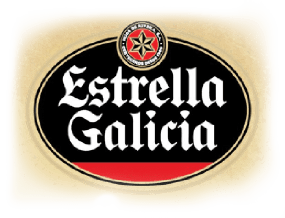 Having worked many years for Gran Bazan, this wine is an example of Galicia’s Albariiio at it’s top level, available at the best restaurants in Spain. Well balanced in the mouth. Tasteful with proper sweetness, very mild and fresh. Elegant pink color, full and intense with One bubbles. Floral aroma, fresh and fruity. Aromas of red fruit, strawberry and licorice. Good balance between fruit and acidity with spicy notes. 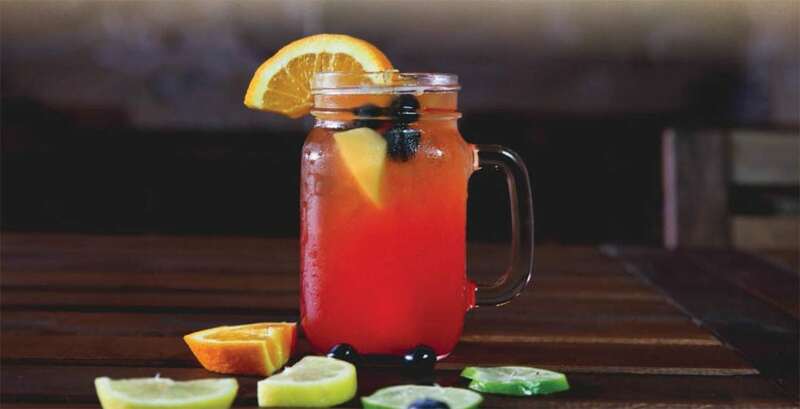 All of our flavored sangrias are made with Compal fruit nectars.